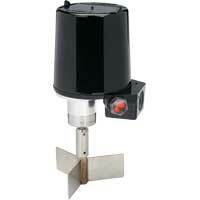 Capacitive level switches are sensors with an electrical contact output at a specific liquid, powder, or bulk level. Their traditional use is for non-metallic materials such as: plastics industry, chemical industry, wood industry, ceramic and glass industry, and packing industry. A few models are no maintenance. 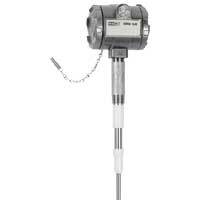 Capacitance Level Switch provides reliable point level measurement of solids, liquids, and slurries. Application in high or low detection in bins, chutes, and other vessels where liquids, solids, or slurries are stored. 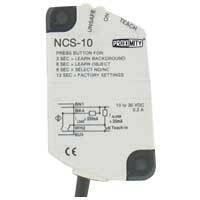 Capacitive Level Switch does not have any moving parts. Can be used for liquids, powders and bulk materials. Assures great chemical compatibility and meet food grade requirements. 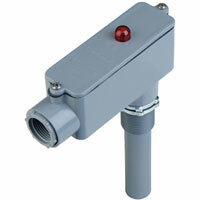 Through Wall Capacitive Sensor features a thin profile with a sensing distance of non-flush mounted. Designed for front, pipe or plane mounting. 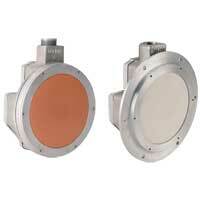 Can detect metallic as well as nonmetallic objects. 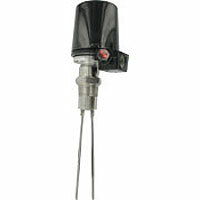 Flush Capacitance Level Switch has no probe and is ideal for level measurement of liquids and bulk solids to trigger an alarm or close a filler inlet. No maintenance. No moving parts.